Barts is a quirky late night speakeasy bar situated somewhere on Sloane Avenue, Chelsea, with an extensive wine and prohibition cocktail list as well as a delicious food menu. Don’t be late, for a very important date! Follow the white rabbit through Chelsea Cloisters and ‘down the hole’ as you enjoy the ultimate four-day Easter special… or it’ll be ‘off with your heads!’ This Easter weekend from Thursday 18th until Sunday 21st, step through the secret black door as the apartment transforms into the world of Wonderland! Sip from mismatched teacups, and enjoy labelled concoctions. Delve into our box of curiosities as you throw on a mad hat from the fancy dress box or have a Cheshire cat’s smile painted on you by our resident face painter. 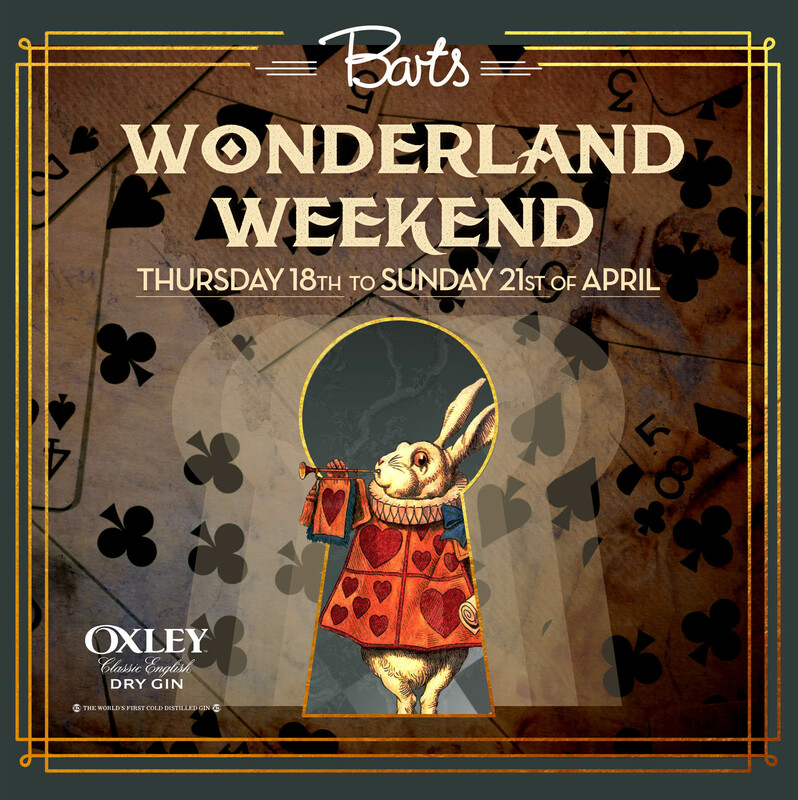 Embrace the madness and step onto the dancefloor, throwing shapes like a mad hatter until the early hours of the morning! After all, it’s no work Friday... or Monday! While away the Sunday hours down at Uncle Barts' apartment, with bespoke Mount Gay domino sets and Mount Gay cocktails... Book Now.